A Nottinghamshire care home which had its contract suspended amid concerns about care standards has challenged the county council's ruling. 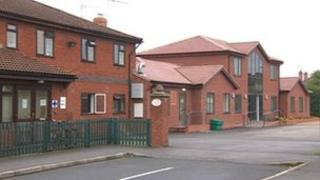 Red Rose Nursing Home in Farndon is the ninth in the county to have its contract suspended since March. Its owners described the action as "disproportionate" and was causing distress to residents' families. The county council said talks had taken place with the care home but "insufficient progress" had been made. Owner Roger Daniels said: "Red Rose is now seeking an urgent meeting to set the record straight and seek the reinstatement of its contract." He said: "I invite any journalist or member of the public who is concerned about the actions of the council to come and visit us, look around and talk to staff and relatives. "We have absolutely nothing to hide." He added: "We want to work closely with the county council - it's in everyone's interests so that we can maintain the best possible care for residents. "We believe strongly that the reasons given to justify the suspension of our contract are flawed and susceptible to challenge." Issues raised prior to the suspension of the council contract include staff training and concers about pain management and the incidence of pressure sores. The home was investigated by the council and NHS Nottinghamshire County in response to concerns about nursing care, a county council spokesman said. The council has been working with the Care Quality Commission (CQC) over the past year to bring about improvements to the home. A CQC statement said the care home had failed to implement "an effective care plan" to manage the risk of pressure sores. It said the home was issued with a compliance order to deal with the problem, and added that it would monitor the service at the home. The CQC did say relatives of residents at the home had rated the care as "very good". Council spokesman David Hamilton said: "We will no longer allow new residents who we fund to be placed at the home until the necessary improvements are made." The other homes in the county which have had their contracts suspended are Rufford Care Centre in Worksop; North Clifton Hall Nursing Home; Manor House Care Home in Sutton-in-Ashfield; Gedling Care Home; Moorlands in Brinsley; Spring Lane Residential Home in Lambley; Meadow Lodge in Beeston and Abelard Care Home in West Bridgford. The Spring Lane Residential Home in Lambley had its registration cancelled by the CQC earlier this month after an inspection found people at risk. The CQC said it had received information that eight residents had suffered bruising at the home.